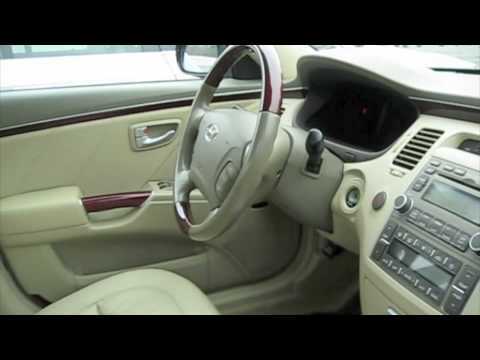 The Azera offers a spacious ride with high-end amenities at a fair price. It is a family-friendly sedan with performance and style. I am overall happy with my vehicle. Problems: radio is outdated. No Wifi or Bluetooth connection. Rotors and brakes are constantly going bad. Performance: handles roads well but would not take on bumpy dirt/gravel roads. Reliability: it has always worked when I needed it too! Comfort: interior is large and buttons are easy to understand. Heated seats are great. The leather seats however are not comfortable. Features: heated seats are amazing. Heat goes from 1-5 so you are able to adjust to any level. Battery of my passenger side seat has died so I can no longer adjust that. Sunroof is great. Radio holds 7 CDs. 2 center compartments that hold a lot. Amazing reliability, warranty, and extra features. Love my car! This is the most reliable car I have ever had. The warranty is also the best I have ever had. 100, 000 miles or 10 years! Cannot beat that! I am very tall, and there is plenty of headroom as well as an extreme amount of room in the back seat. Well made with leather, heated seats, absolutely love the automatic sun shade for the rear window, and I have received many compliments on it. Terrific sound system from factory. My car is a bit too old to have Bluetooth or GPS, but I do not miss it. Love my car!! Used Azera works well for a busy single mom. Since I have had my vehicle it has only broke down on me once. It was a belt, not super expensive to fix which was great. It is decent on gas. The temperature changes are pretty extreme as far as the air and heat go, its gets real hot quick with the heat and real cold quick I wish it would stay a moderate temperature easier. Hyundai Motor Company (Hyundai) is recalling certain model year 2007-2008 Azera vehicles manufactured March 7, 2007 through August 14, 2007. In the affected vehicles, the power-adjustable front driver seat may unexpectedly move without the driver's input while the vehicle is being driven. Hyundai will notify owners, and dealers will replace the power-adjustable seat switch, free of charge. The recall began October 28, 2016. Owners may contact Hyundai customer service at 1-855-371-9460. Hyundai's number for this recall is 150.